The Carris Team has SOLD over 1000 homes! Serving the Northern suburbs of Chicago including Long Grove, Buffalo Grove, Lincolnshire, Lake Zurich, Hawthorn Woods, Kildeer, Libertyville, Mundelein, Vernon Hills, Lake Forest, Lake Bluff, Riverwoods, Arlington Heights, Gurnee, Grayslake, Barrington and more! 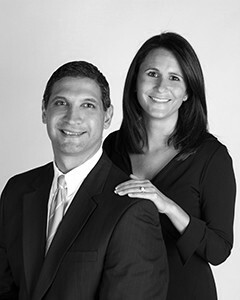 Dana and Tom both grew up in Lincolnshire and attended Adlai E. Stevenson High School. Dana graduated from Indiana University with a BA in Merchandising/Business. Tom graduated from the University of Illinois with a BA in Economics. Our business philosophy is simple...Give the best quality service to all of our clients at all times, and then give back to the communities we serve. Specialties: Residential Real Estate. Specializing in the Northern Suburbs of Chicago. Relocation, Luxury Properties, Short Sales, Foreclosures, and Buyer Specialists. "Tom and Dana were very knowledgeable about my townhouse and the area before they walked through the door of our initial meet. They were professional and accommodating every step of the process. At the time, I was living in another state and was commuting back and forth on the weekends. As a result, I wasn't always around during the week but they were very responsive to every communication that I had as well as keeping me up to date with all the walk throughs and feedback from them." "Dana and Tom fairly priced our house for us and the buyer. It was extremely easy and fun to work with them. The negotiations and closing were seamless. Many thanks to the great team." "We used Tom to buy our town home 15 years ago. When we recently found our dream house, he helped us in the buying process again. And of course he helped us sell the town home! Tom and Dana provided excellent guidance and were very knowledgable about the market. We would definitely use them in the future and hope for the opportunity to refer them to friends and family."